There’s a new open-source blueprint that aims to give developers a place to kick-start their mobile product development for Android and iOS, all built with React Native and Redux. Named Pepperoni, the development team behind this open-source project has been working for more than 10 months trying to build apps and learning the best ways to do it using React Native. The company powering Pepperoni is Futurice, a software consulting company that creates digital services for its customers. Futurice is also behind the open-source social impact Spice Program, where it serves as advocate of open-source projects. Futurice is a European company based in Finland, with designers, developers and consultants working together to build products, like mobile applications, for its customers. Lead engineer of Pepperoni, Jani Eväkallio, said that Futurice had been working with React Native, and the company liked it so much that it wanted to formalize what it used and create something that others could use to create apps using React Native. Although Pepperoni’s website said that it is a “framework for mobile development,” Eväkallio said that it isn’t quite an accurate way to describe what Pepperoni can do for developers. He said that it benefits developers, especially for startups, which often have limited funding to make a product that is different from what is currently in the marketplace. Startups looking to build these apps from scratch usually end up taking weeks and a lot of their budget into something that doesn’t add value to the company, according to Eväkallio. 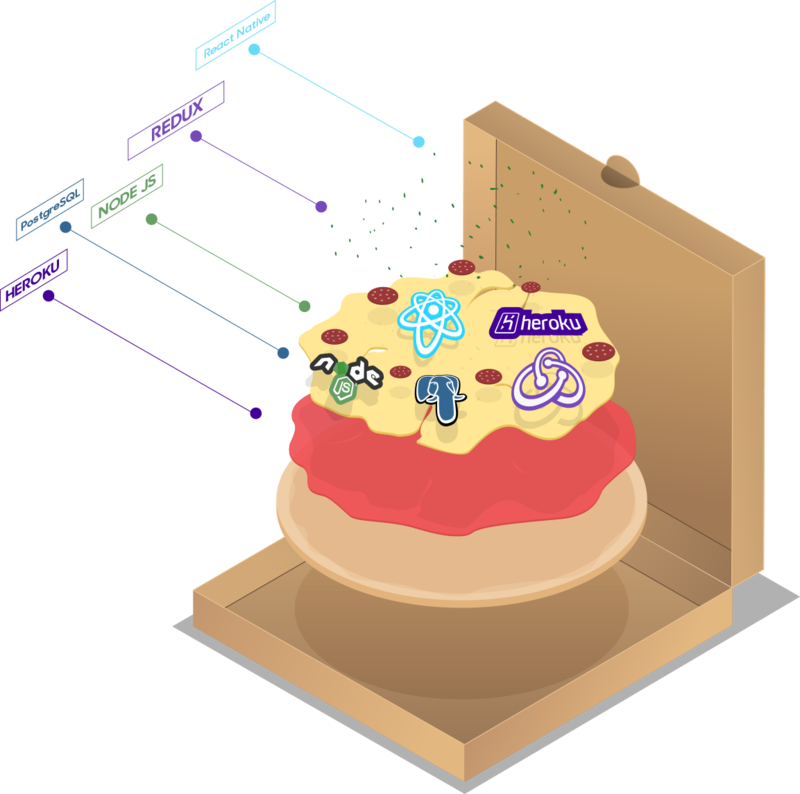 Pepperoni doesn’t have a back end yet, but in a few weeks the team expects to launch its back-end solution that will be Node.js and PostgreSQL together. Pepperoni is cloud-ready for Amazon Web Services, Google Cloud Platform, Heroku and Microsoft Azure, or developers can host it themselves. Other features include prebuilt app components, a login, authentication and user management with Auth0, a WhatsApp-style user-to-user and group messaging with SendBird, and push notifications. Also with Pepperoni, developers can deploy instant app updates directly to users who use CodePush, a cloud service that enables Cordova and React Native developers to deploy their mobile apps directly to a user’s device.